Hilary Duff spent some bonding moments with her son, Luca, at the Farmers Market in Los Angeles on Sunday. The mother-and-son tandem took part in some of the activities at the outdoor exhibition. The 29-year-old actress dressed down, looking cool and chic in a green rib-knit sweater and a pair of distressed Tortoise jeans that you can buy at Revolve. Hilary Duff and son Luca Comrie at the Farmers Market in Los Angeles, California on December 18, 2016. Hilary attempted to go incognito in a Panama-style hat and a pair of Ray-Ban aviators. 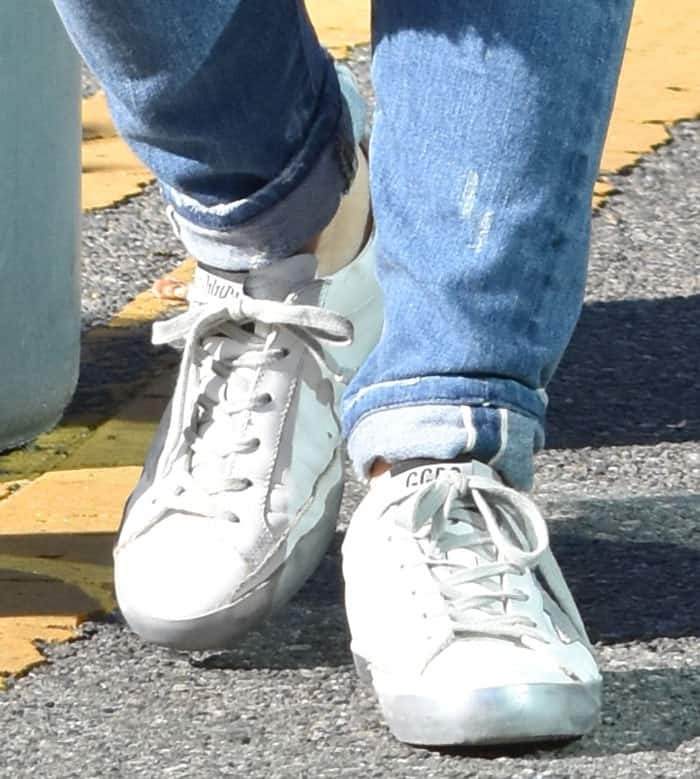 She kept the rest of the look simple, wearing only a statement ring and a pair of sneakers. She wore her long blonde tresses down over her shoulders, and opted for minimal makeup comprised of soft pink blush and lipstick. Hilary Duff in a knit sweater and distressed jeans. Hilary kept the look comfortable with a pair of Golden Goose “Super Star” sneakers. These sneakers feature lace-up fastenings, metallic trim and the brand’s signature star appliques. Hilary Duff in Golden Goose Deluxe Brand sneakers. 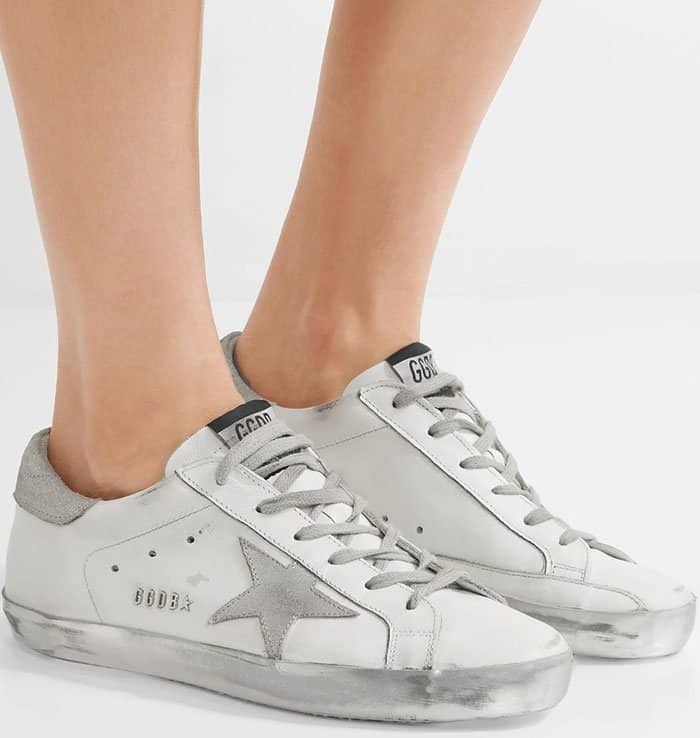 Get these Golden Goose sneakers at Net-A-Porter.